Sign up and we'll contact you ASAP. ...for Apple POS, eCommerce, and Internet Marketing. The iPad is a game changer for hospitality POS. It's less expensive, less bulky, and easier to maintain. Delight your guests with optional tableside ordering and emailed receipts. POS sales, purchasing, inventory management, customer tracking, and customized reporting for iPad and Mac. 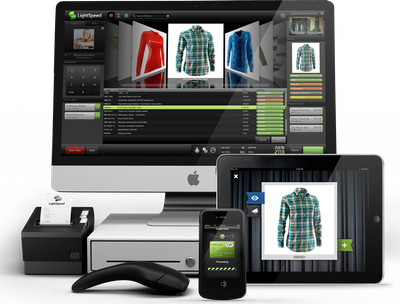 Add on optional real-time eCommerce and handheld iPods for the complete experience. From pre-made templates to custom design, we've got you covered. Extend your existing retail store online for shared inventory, or start from scratch. We'll help customers find your site, too. We're rockstars at helping potential customers find you online. SEO, Google Places and Maps, Social Media Management, Google AdWords, and Online Reputation Management. Basic brochure sites for local businesses? Check. National brand presences? Check. Online shopping carts? Check. Press releases, blog posts, articles, YouTube videos, and more. All optimized to be found by your potential customers.